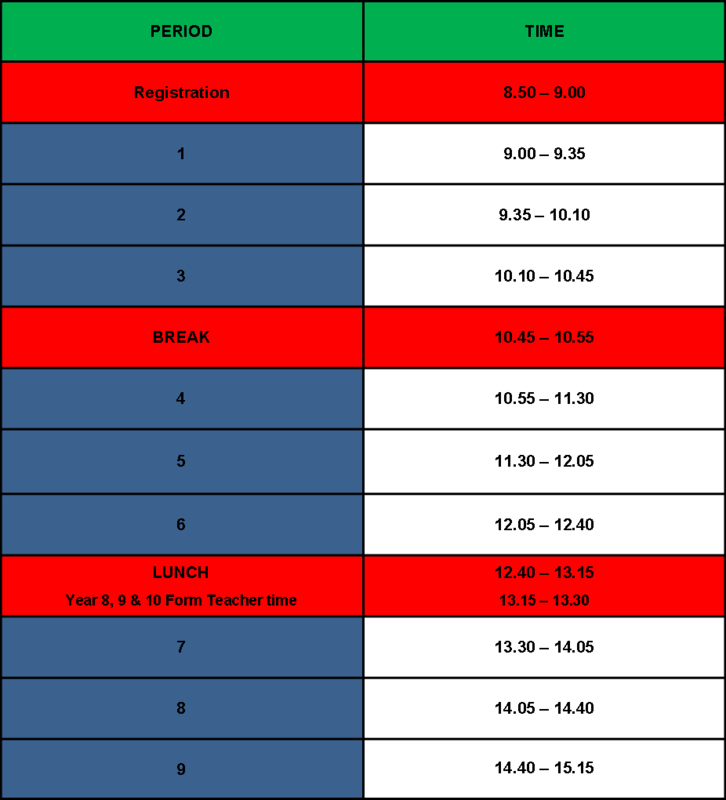 The school day at Lisneal College begins at 8.50 am and ends at 3.15 pm. The day is divided into nine lessons called PERIODS. Each period has a different subject.